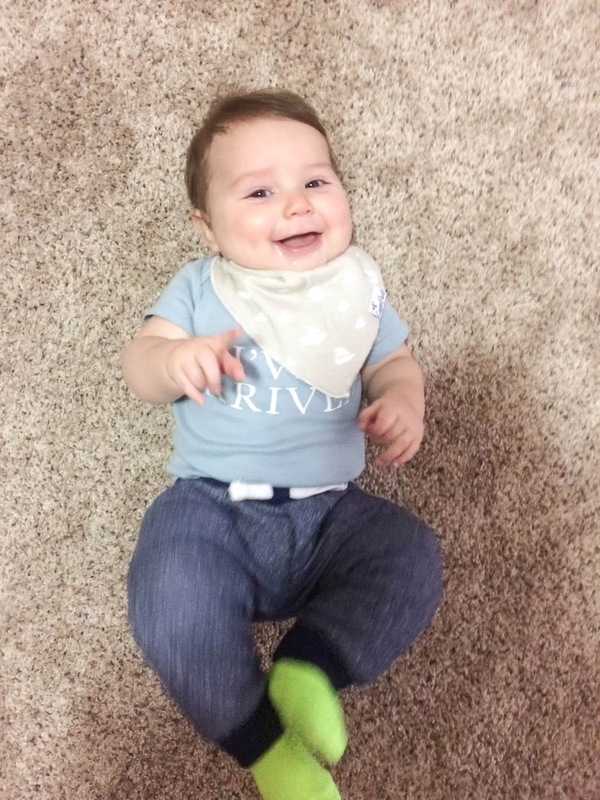 Valentina Riches : Masons 7 month update! My little Mason turned 7 months yesterday and I continue to be amazed of how much he's grown in just this month! Mason like always continues to be such a happy boy! We loved our Christmas break and loved having my dad in town for the holidays. We loved seeing his other grandpa! 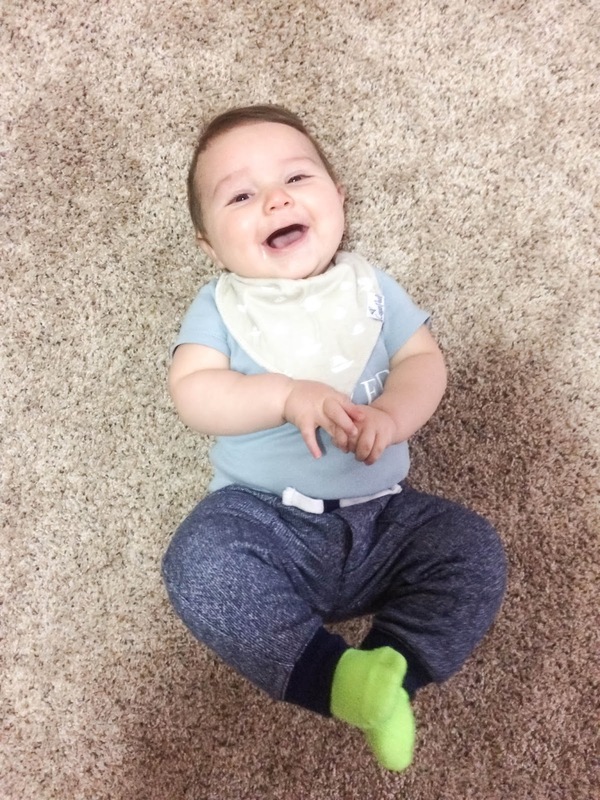 Mason kicks his feet and smiles so much when he sees him! This year we hosted our families Christmas party and Mason loved seeing his cousins and extended family! Mason's first Christmas was one to always remember! He was spoiled with so much love and gifts! He loves his new shape blocks and his drum that lights up; and don't even get me started on his first pair of freshly picked shoes and clothes he got! Like really any babies first Christmas Mason only really truly cared for the wrapping paper haha. He would take his time ripping the paper (oh because he wanted to enjoy the beautiful Christmas paper of course) but had a blast with Christmas! Something that Mason has done within this month is transitioned into his crib! Mason has been in his bassinet in our room for 5 months, but of course with time he's grown out of it and really doesn't have room to sleep anymore in it. When we traveled to California for thanksgiving he started teething and only wanted to be by our side. So he ended up sleeping with us in our bed which wouldn't be too bad if we didn't have a small bed lol. So his nursery was finally completed and we were ready to have him sleep in his own bed. Mason wasn't a fan at first and I think that's because he was always in arms length of something and use to something closer. We tried a few times to have him sleep in my arms and then when he would , we would move him over. But unfortunatly that last no more than 2 hours. Long story short he is now in his crib full time and loves his new bed and of course room! We also had a scare this month , the little guy decided that he wouldn't have a bowel Movement for a week! I decided to go into the doctor and see what was up, and right when I get there in the room the little stinker decides to poop haha. Still the doctor wanted to make sure he was okay, turns out a baby transitioning into solids more tends to mess up the digestive system lol. After some prune juice which he hated and apple juice his bowel movements are back to normal and this momma couldn't be more happier to not see my little guy constipated. Mason loves eating carrots, sweet potatoes, green beans and his yogurt melts! I officially quit my job to be a stay at a home mother and love being with my mas! Mason is on the verge of crawling and I would soon be having my hands full with this little crawler but I'm excited for this new soon growth! So much has happened in this month both not so good, to scary but mostly filled with such happy memories over this holiday time and month 7 is definitely going to be great! Can't wait to see you grow more Mason and I love being your mother!